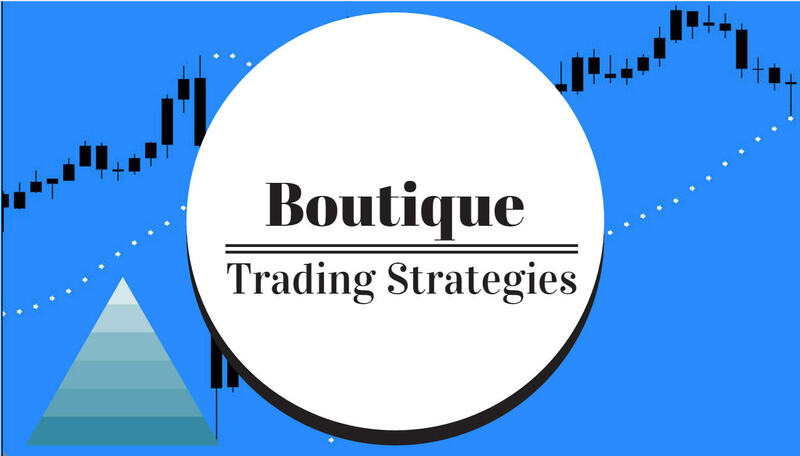 boutique trading strategies: Can We use CCI Divergences to Enhance Our Trading Strategies? 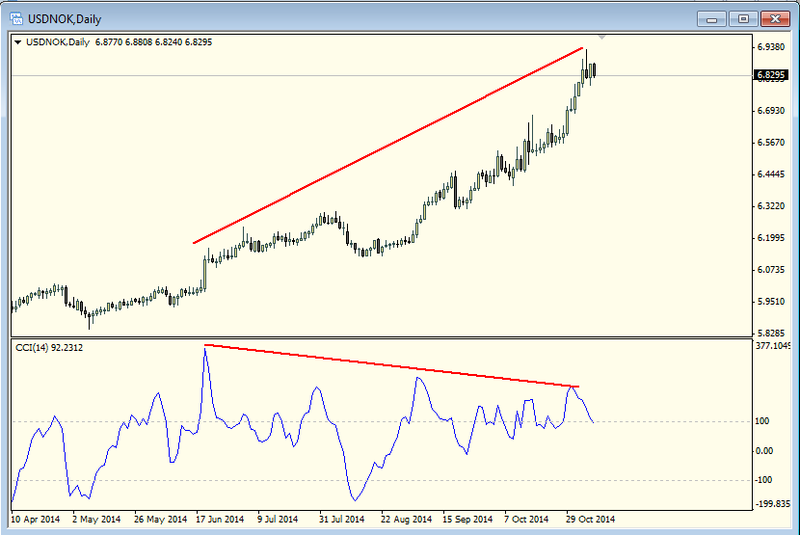 Can We use CCI Divergences to Enhance Our Trading Strategies? What is the CCI and how will it assist a trading strategy? Simply put, the Commodity Channel Indicator was created in about 1980 by Mr Donald Lambert and it is used by traders to determine extremes in price and potential reversals. 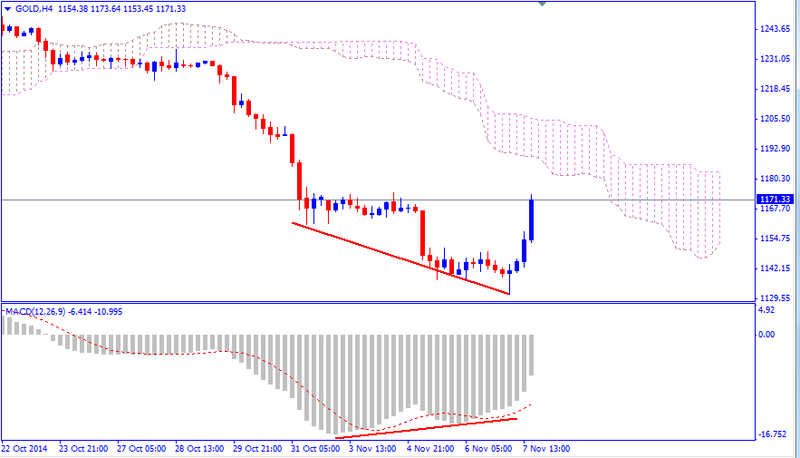 Most of the time it does an amazing job in illustrating divergences between price and oscillator. Many traders use the CCI patterns for their entries and exits, however that is not the main purpose of this article. Perhaps another day we can look at how people can make use of the indicator and its levels for entries and exits. 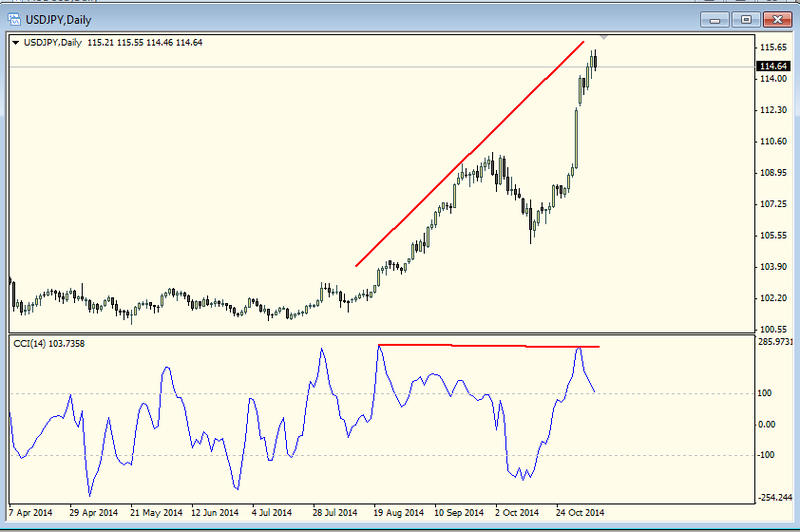 Does Divergence always lead to a profitable entry? NO! Divergences are a hint that something may be coming in the way of a change in direction but they are not to be relied upon. Price action tells the truth. So many times a trader can be fooled by the indicators he has on his chart. The indicators are not perfect, the market has a way of proving this to us constantly. What Does Divergence Look Like? This diagram has been used by many, many people and it simplifies things greatly. 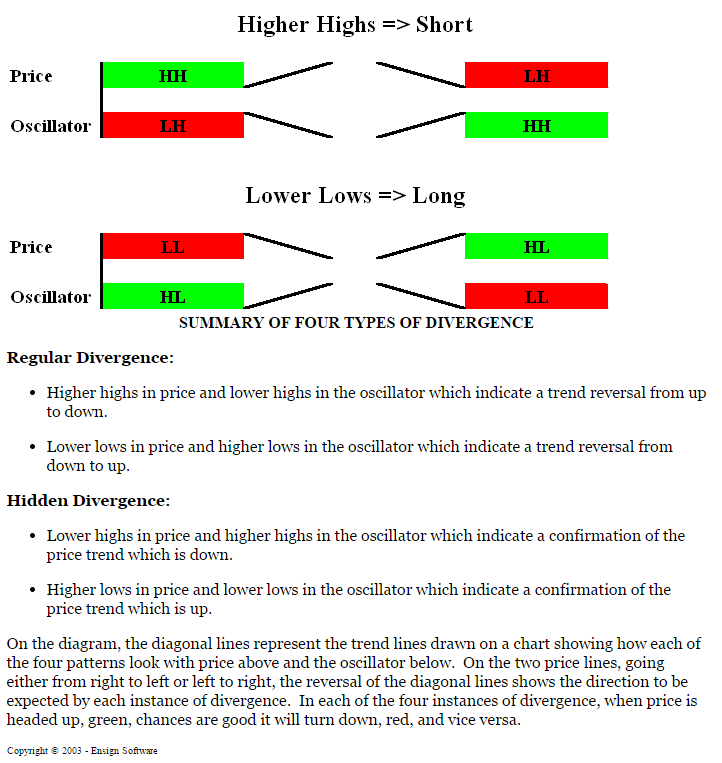 The application of detecting divergences can be as simple as drawing lines on both the oscillator and the price chart, draw from tops to tops on both or from bottoms to bottoms on both. And then compare the lines as per the diagram above. It will not take very long for you to see how valuable the CCI can be for your trading strategy. To learn how to apply this method, a person has to spend some time actually drawing lines on charts and it may be something that has to be practiced for a few weeks until it finally clicks.. The good news is... once you have established some competence in detecting divergences you will spot them quickly and easily even before you draw the lines. What are the takeaway's from all this? 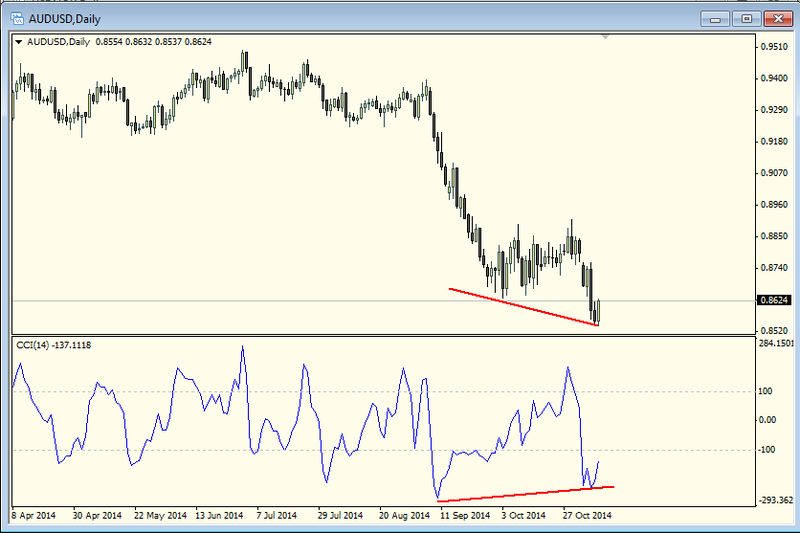 The CCI is an excellent tool for spotting divergences. The CCI is available on most charting programs. 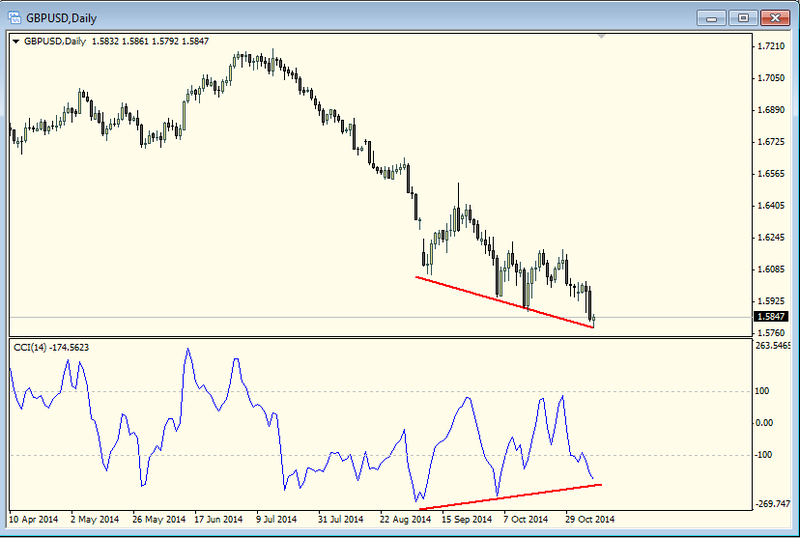 Divergences can point the way to pending trend changes. 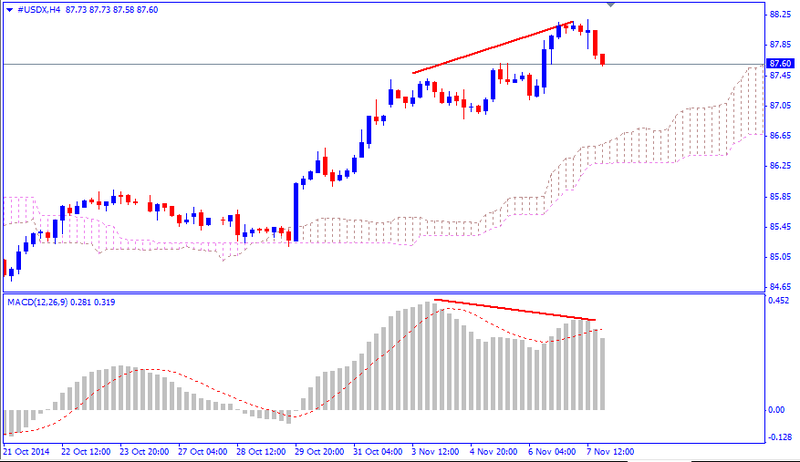 By adjusting the period of the CCI indicator you can make it more or less sensitive to divergences. Let's have a look at what might be happening next week. 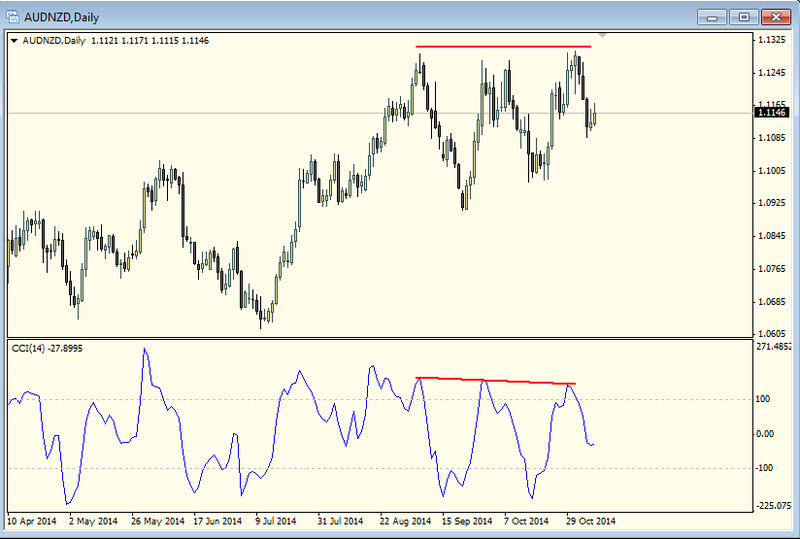 I have marked some divergences on a couple charts and you may see from these and some that you may mark on your own that there appears to be a change coming in the Forex pairs. Once you have worked with this for a few hours you may well decide to add this to your trading strategies. 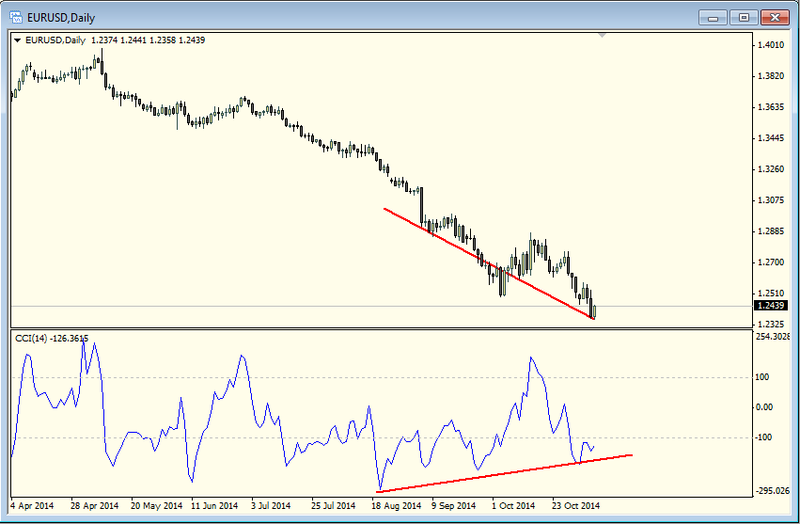 Here are two excellent examples of divergences that worked well to forecast a trend change. This morning was the Non Farm Payroll announcement which caused a change in the markets. On these charts I had the Macd set up and sure enough, what was indicated by the divergence actually occurred. Take a look at the charts.